When I was growing up, I was terrified of animals. Perhaps I wasn't educated on how gentle and loving most domesticated animals can be. I remember the only pet we had was a little chick mom brought home from the market for me when I was 6 years old. Yes a chick! Didn't quite like it because it kept pecking on me. We've had countless pets since having my own children. When I mean countless, I meant all the fishys! We've had the luo han (and seriously hoped it would give us 4D numbers or something), guppies, puffer fish, goldfishes and fighting fishes too. But you know, we can't really bond with fishes in the tank. So it was a more visual treat for the kids than anything. 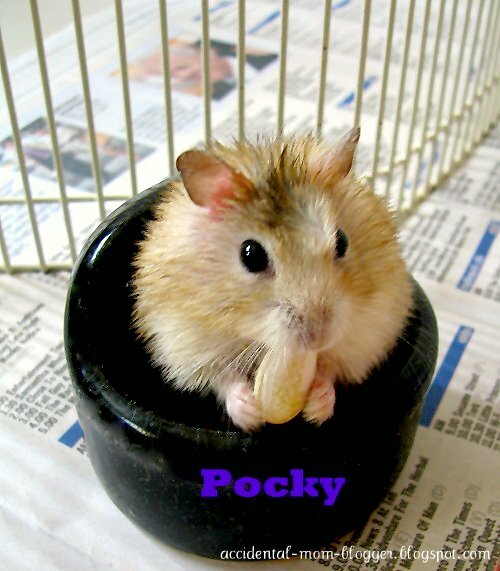 When we passed the fish rearing phase, we adopted hamsters. We had two in a span of 6 months. Despite having bitten on their fingers while handling them on a few occasions, it did not deter my children from loving them. Unfortunately, their life span is only about 2 years. Here's Brandon handling a mouse. 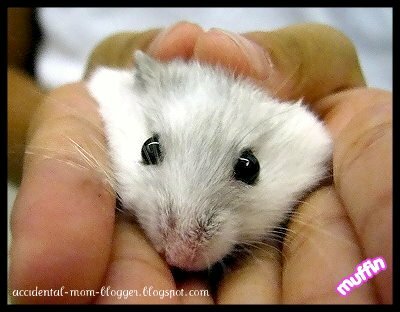 Between a mouse and hamster, I think hamster is a lot cuter! Brandon was unafraid to handle this baby croc, even though it snapped and almost bit his finger. I wouldn't have even touched it because, it sure looks like a larger version of a house lizard! My kids with our current family pet. I am still not really an animal animal person per se because I was never brought up to have animals in my life. But I think I should not deprive my children toward their curiosity and love toward animals. I feel, all children have a natural bonding toward animals and we, as parents, should let them embrace the animals that are in our midst. You don't have to own pets to let the children explore and learn from their experiences with their encounters with animals. As for me, I am for the hope in doing so, my children will be more loving, nurturing and be even better parents to their children in the future. Aiyo! I would love to have cat or dogs at home! But who's going to clean them up? So, no no at the moment. Exactly Jenn... who ends up doing the cleaning, you think? I'm SO going to deprive Caden of his curiosity and love for animals. And theresnothingheordaddycandoaboutit. hahaha! well, you don't need to keep a pet and deprive C of his curiosity of them. You just need to psych the daddy. Yeah it's not easy when you are not a born animal lover.